The Country Flags Clipart for PowerPoint (G to K) is an amazing presentation tool. 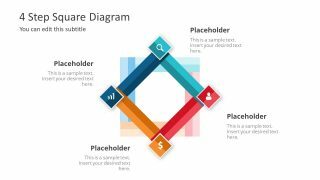 The users can choose their desired icons for outstanding international presentation themes. 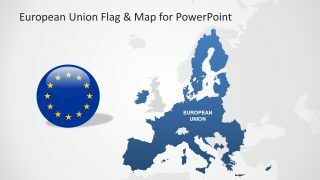 The template of 32 country flags contains flat vector graphics. These vectors enable users to make a range of changes in the design of icons without affecting the image quality. 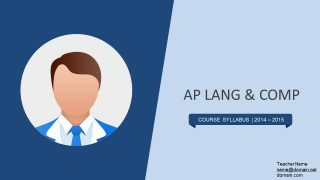 For example, rescaling the clipart or adding effects in the slides. 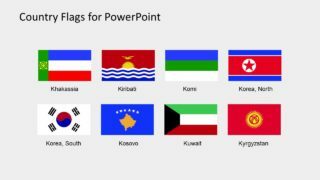 This presentation contains flags of all the countries whose name start with alphabet G, H, I, J, and K. The first slide of country flags clipart provides the overview of all 32 icons. 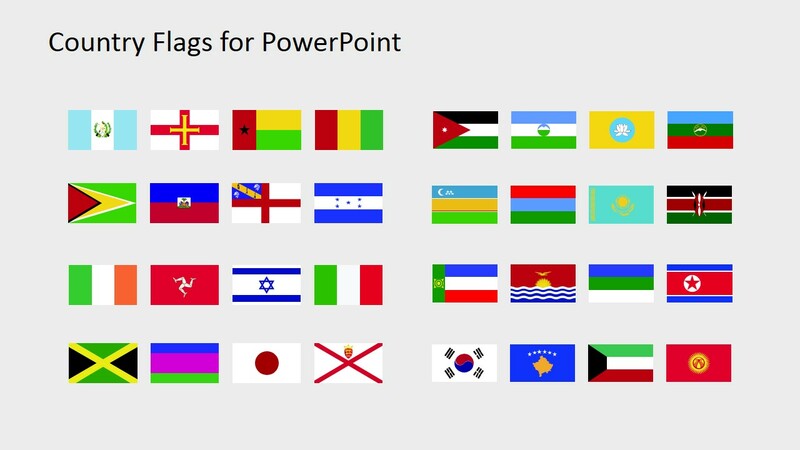 Whereas, the further four slides are segments of 8 flag clipart icons each. 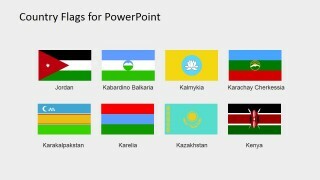 The Country Flags Clipart for PowerPoint (G to K) enables the users to create more visual content while presenting countries. The use of flags instead of names is the countries and maps to display their geography. The maps of countries and cities are available on SlideModel catalog. 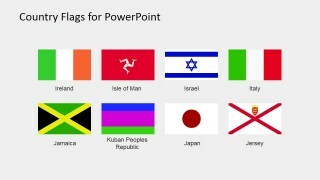 Apart from these, the users can create the interesting world map presentation with required country flags. This can help display the global reach of business and marketing opportunities. 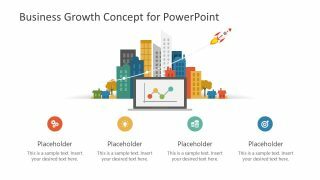 Moreover, the editable PowerPoint template enables users to personalize the slides as required. Either by changing the size or color or objects or add effects etc. 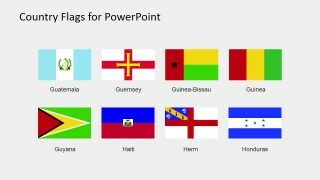 The PowerPoint template of (G to K) clipart icons as country flags are multi-purpose shapes. From promoting tourism to business or displaying the flags as a part of learning slides. It is unlimited presentation options. Therefore, it is a creative marketing tool to enhance the digital presentation of business services. Similarly, the flags can highlight the companies, teams, and individuals as representatives of their countries. For instance, in international sports tournaments, united nation and its affiliated NGOs etc.